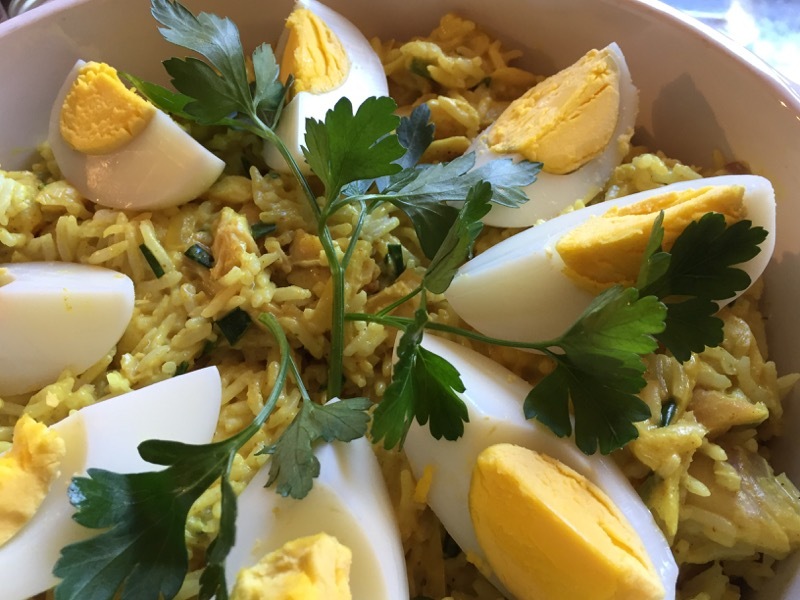 Kedgeree is an Anglo-Indian dish, consisting of curried rice and fish, usually smoked haddock. 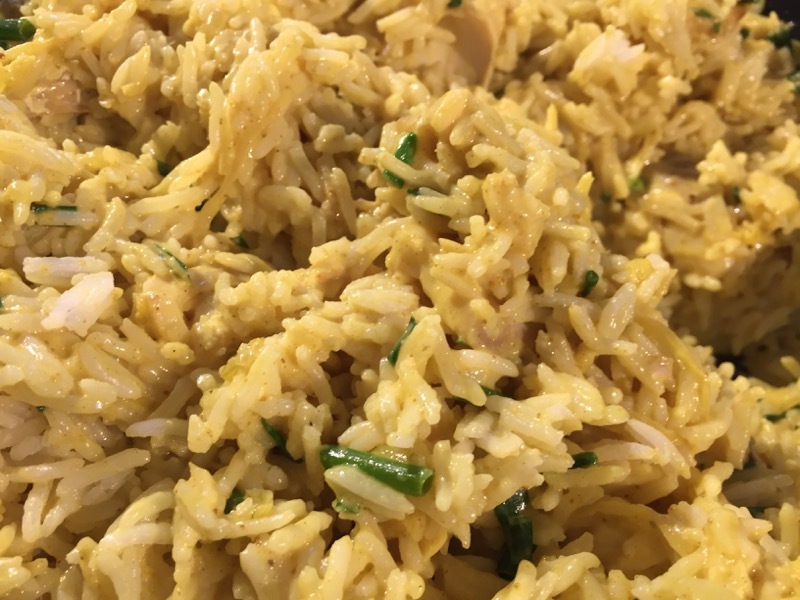 The Prawn Cocktail Years contains two recipes for kedgeree: Wet Kedgeree and Dry Kedgeree. I’ve made the dry version many times over the years, and it is very nice, but I’m not sure I’ve ever made the wet one. Well, now I’ve fixed that. Here’s how it went. Kedgeree starts with basmati rice, sealed in a pan with just enough water and cooked over a gentle heat for quarter of an hour. Once cooked, it’s fluffed up onto a plate to cool. While the rice was cooking, I boiled three eggs. Once they were cooled, I sliced them into quarters. 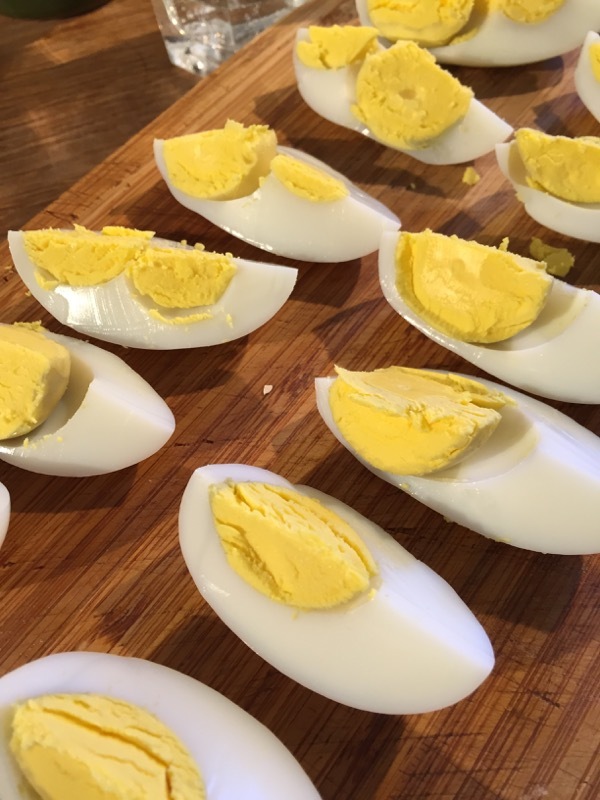 One of them was a double yolker – it’s that time of year again! Next, the haddock. This is cooked in pretty much the same way as the fish for the Fish Pie was cooked. 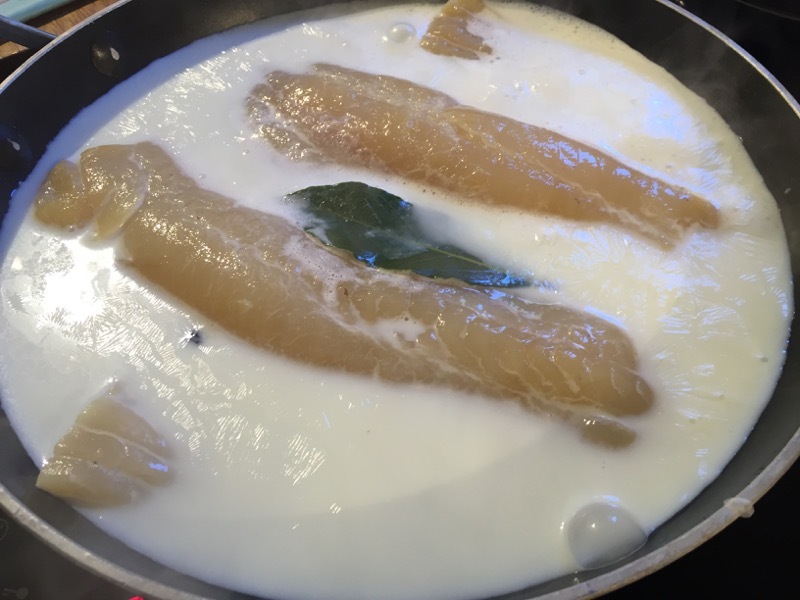 It’s placed into a shallow pan, together with a bay leaf and some peppercorns, and is then covered with milk and then simmered gently until the fish is cooked. 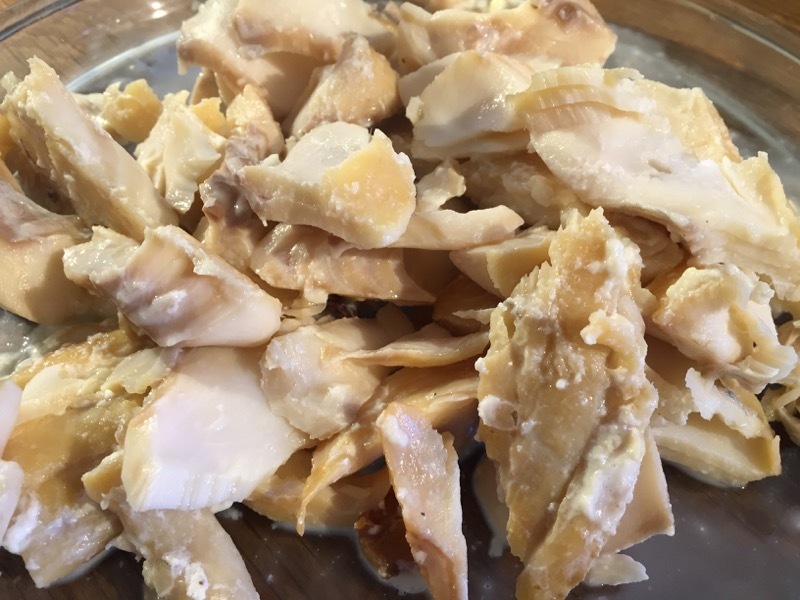 Once cooked, the fish is removed from the pan, flaked into large chunks and then kept warm. Now for the sauce. 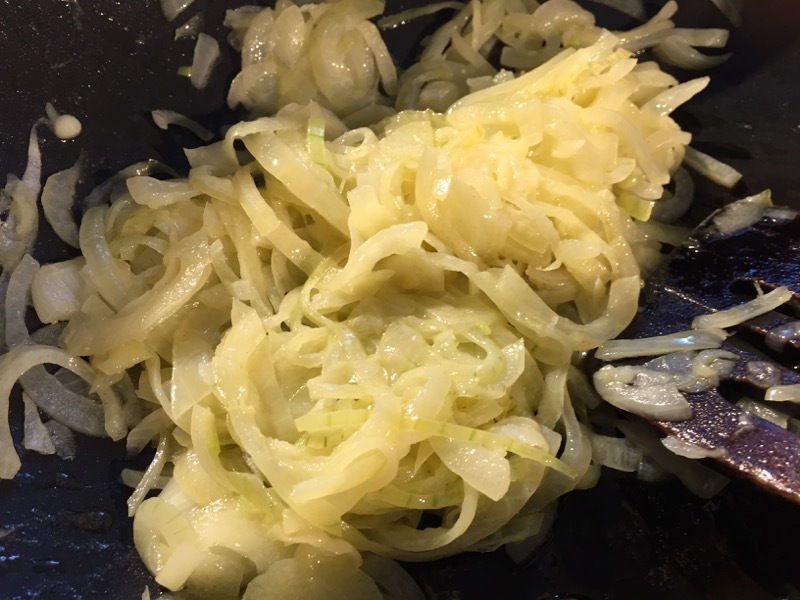 Finely sliced onion is cooked in butter until soft and golden. 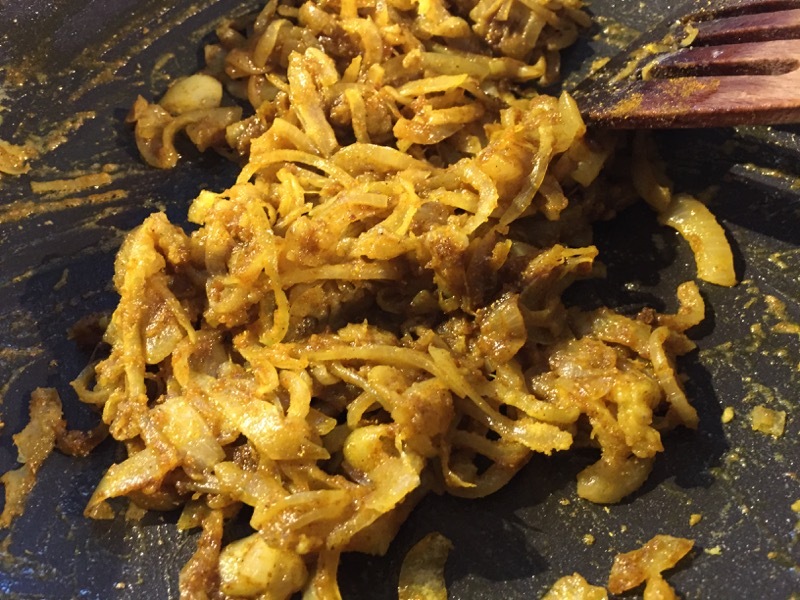 Then a mix of curry powder and flour is added and cooked through for a few minutes. Next, the milk from the fish is strained and added, stirring vigourously whilst it comes to a simmer. The sauce gets cooked gently for a little while, then cream is added, and then seasoning: salt, black pepper and lemon juice. Once the sauce is brought back to the simmer, the flaked fish is added, together with some chopped chives. Finally, the sauce and rice are folded in together. The kedgeree is served in a warmed dish, topped with the hard-boiled eggs and a sprig of parsley. And the verdict? It was really nice. The rice and fish were very nicely cooked, retaining just the right amount of texture. The flavour was soft and creamy, with a light curry flavour that paired very well with the smokiness of the fish. All in all, I was very pleased with it. I seem to be having all my fish at once at the moment! Not that I’m complaining. I do love a bit of kedgeree. 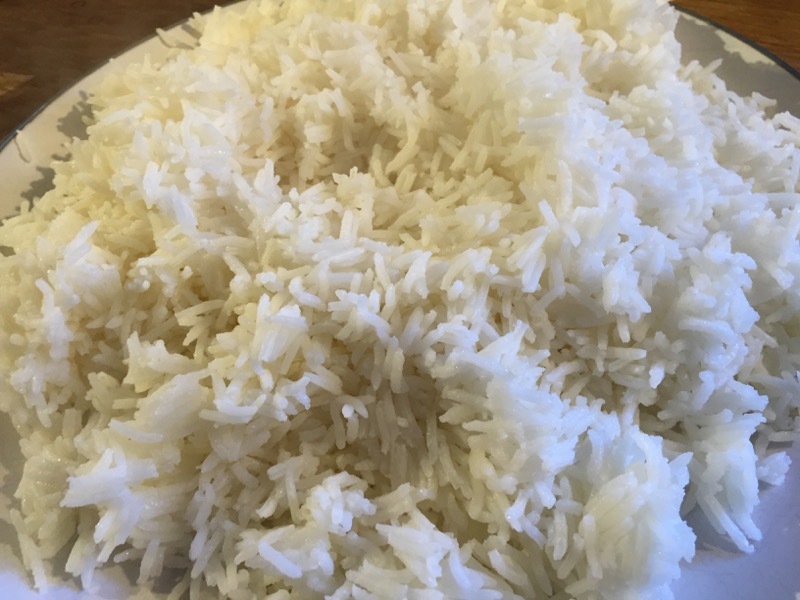 I find it is a very tasty way to serve up some rice and fish. Today’s kedgeree was a wet kedgeree. Mind you, that doesn’t mean it was sloppy. Just not dry. 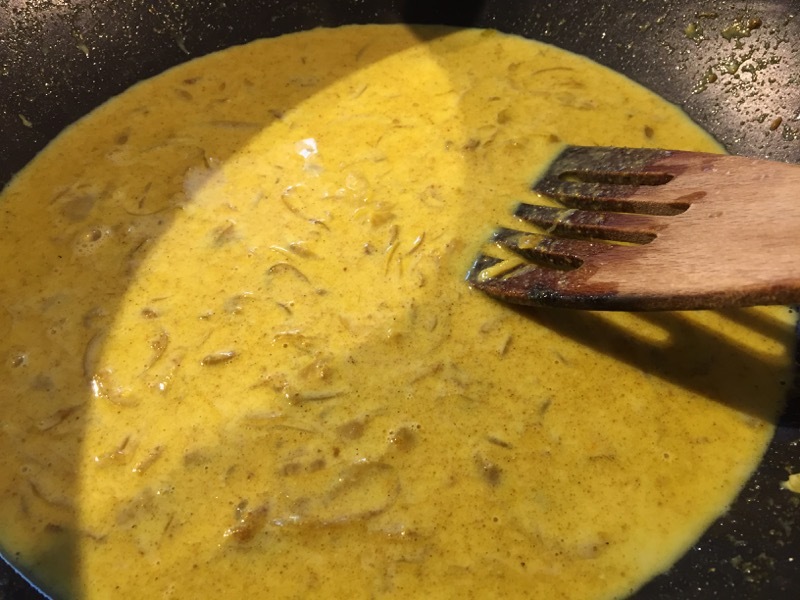 It tasted very creamy with a light hint of curry. I was really picking up nutmeg, a favourite spice of mine, but Dave hadn’t added any. It must have been in the spice mix. I love smoked haddock however it’s cooked. So much flavour and great texture too. It was delicious in this dish. A warm, comforting plate of tasty food for brunch. What more could I ask for? And with a nicely steamed egg on the side. Perfect.